Craiglist’s infamous “missed connections” section is a great place to write a love ballad to that special someone you made fleeting eye contact with at the grocery store. Or, you know, that African elephant that was slaughtered by poachers last week. Those who frequent Craigslist to find computers and futons may not be aware that the site also hosts a flourishing black market ivory trade. 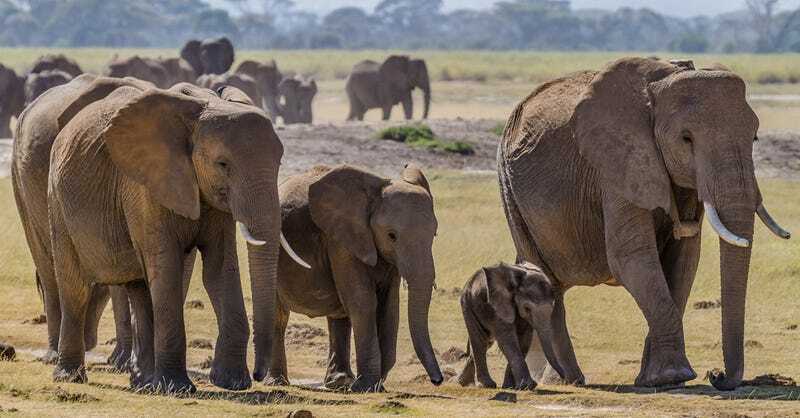 In April, a study conducted by the Wildlife Conservation Society (WCS) found that during a one-month period, over 615 ivory items were posted for sale in 28 US cities, with a total estimated value of $1.4 million dollars. Many of these items were listed as antiques, which could make them acceptable under international regulations, but the vast majority came with no documentation whatsoever. It’s hard to imagine that all of this ivory is truly antique, given that an estimated 96 elephants are poached every day for their tusks. After the study was published, Craigslist immediately agreed to add ivory to the site’s list of prohibited items. But the website has taken no apparent measures to enforce the ban, and a quick search still turns up many ivory items. “We think Craigslist can still play a constructive role, but they clearly need a little more nudging and direct communication from people who use Craigslist,” Huff-Hannon told me over the phone. Hence the recent deluge of missed connections ads asking where all the elephants have gone. This, at least, Craigslist seems to have noticed. The campaign began last week, and the fake ads are now being taken down almost immediately after they’re posted. I’ve reached out to Craigslist for comment and will update if I hear back. It’s still unclear whether this campaign will spur Craigslist into taking action against illegal wildlife products. But Avaaz seems to have picked a good moment to raise awareness of the issue, given the flood of internet outrage over the killing of #CeciltheLion, and newly announced restrictions on the sale of African ivory in the US.